"Jersey Shore" star Mike "The Situation" Sorrentino is now a married man. Us Weekly confirmed the 36-year-old tied the knot with Lauren Pesce at a wedding Thursday at The Legacy Castle in Pompton Plains, N.J.
Sorrentino's "Jersey Shore" co-stars Jenni "JWoww" Farley, Nicole "Snooki" Polizzi, Ronie Ortiz-Magro, Paul "Pauly D" DelVecchio, Vinny Guadagnino, Deena Nicole Cortese and Angelina Pivarnick were among the guests in attendance. "We are so incredibly excited to begin our journey as husband and wife!" Sorrentino and Pesce told the magazine. "We are each other's best friend and together we can handle anything. Thank you to all our family, friends and fans who have supported us every step of the way," they added. "Gym, Tan, Laurens is the new GTL!" Sorrentino had dedicated a sweet post to Pesce on Instagram ahead of their nuptials. "Today I marry my best friend, My College Sweetheart, My everything. Together as a team we can accomplish anything," the star wrote. "I am so grateful that you are by my side. I promise to be my best self everyday & make you proud to call yourself Mrs. Sorrentino. Love you with all my heart. Here's to our big day," he said. 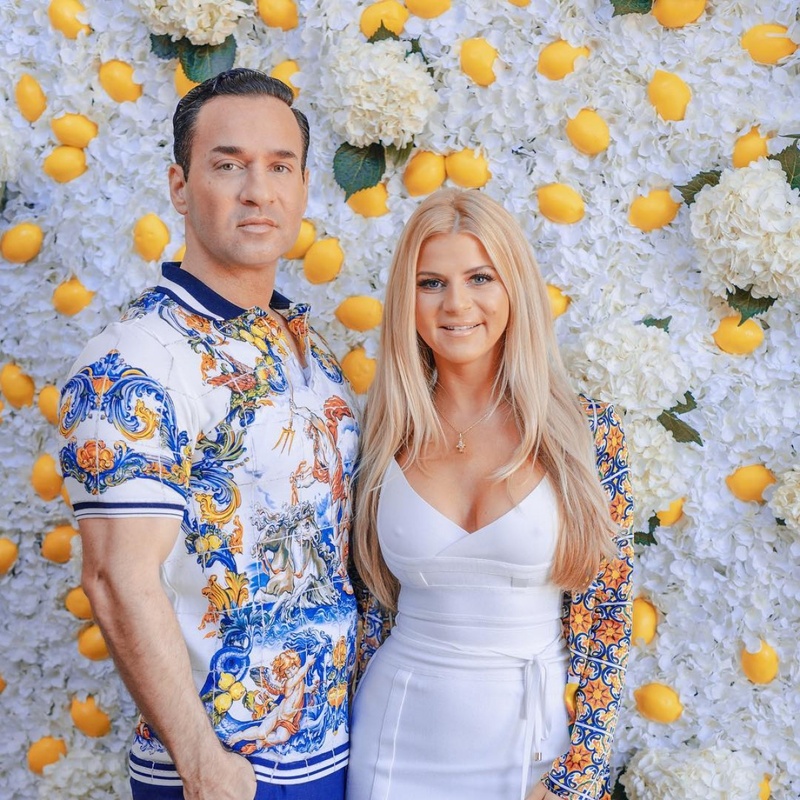 Sorrentino got engaged to Pesce of "Jersey Shore Family Vacation" in April. His co-stars helped him pull off the "dream proposal" in Miami, Fla.
"My dream ring, my dream man & dream proposal! Couldn't have asked for anything more!" Pesce said at the time. "Thank you my love @ItsTheSituation and to your amazing friends that went above & beyond for us in Miami! We are SO Blessed!" Sorrentino is known for starring on the MTV series "Jersey Shore" and "Jersey Shore Family Vacation."